Original Kids Boot Socks is rated 3.6 out of 5 by 11. Crafted from soft microfleece, Hunter Kids' boot socks are designed to enhance fit while giving added comfort and warmth. Rated 5 out of 5 by Trudy from Love them !! I bought these for my granddaughter. Love the colour and quality!! Rated 5 out of 5 by Kat109 from Great for kids! 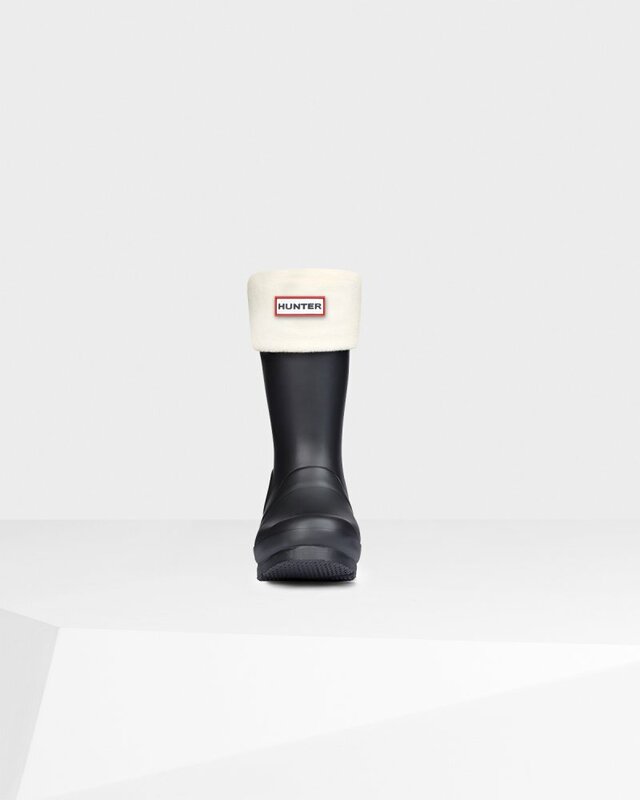 I bought this just over a month ago, my 2 year old wont wear anything except rubber boots, so these inserts keep his feet warm while he plays in the snow ! Amazing quality. Rated 1 out of 5 by Tareyuki from Does not fit boot “original kids first boot” I bought the “original kids first boot” (the one without the buckle), thinking it has “original” it should fit as per the description that the sock fits the original boot. It does NOT fold over nicely like in the photo. I’m super disappointed. I have the Size EU12/US13 size with the M sock as per the “find your size”. The sock is too small for the rim of the boot. Rated 3 out of 5 by Gramma from Nice but too bulky For a size 5 rain boot the XS liner was too bulky. There was no room for the foot. Rated 2 out of 5 by A. Murray from I am not happy with the socks :( I just received the socks in the mail yesterday and they do not fit the circumference of the top of her Hunter Original boot. It is cause the top of the boot to fold and this makes my little girl not want to wear the boots. Do the socks come in bigger sizes on the top? Or just the foot size? She has size 13 UK boot and I ordered a medium sock. Would a bigger size fix this problem? Thank you.